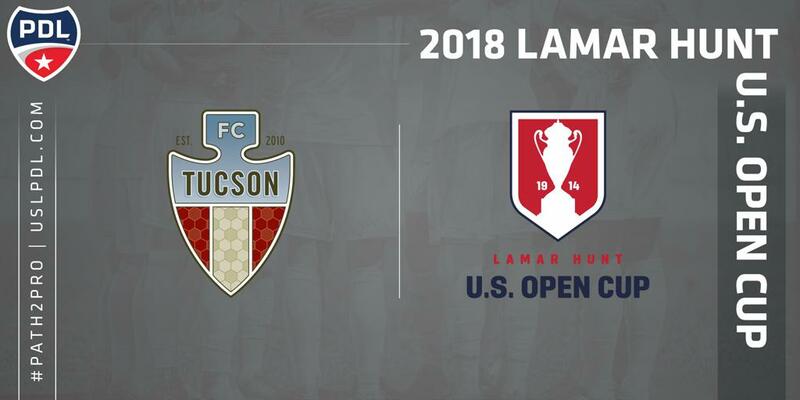 TUCSON, Ariz. (March 14,2018) — For the fourth consecutive season and the fifth time overall, FC Tucson will be participating in the Lamar Hunt U.S. Open Cup. The club qualified for the tournament as a result of its first-place finish in the Premier Development League Mountain Division last season. FC Tucson qualified for its first-ever trip to the U.S. Open Cup in 2013, where the team defeated two professional clubs in back-to-back matches to reach the third round and play Major League Soccer Club Houston Dynamo. The team lost to the Dynamo 2-0. Following a first-round exit in the 2015 tournament, FC Tucson has reached the second round in each of the last two seasons. In 2016 the club was eliminated in the second round by United Soccer League Club OKC Energy FC. In 2015, the team was eliminated in the second round by USL club Arizona United SC. The 105th edition of the U.S. Open Cup begins on May 9. FC Tucson will learn who its opponent will be when the first round draw is made on April 4. For more information on the 2018 U.S. Open Cup, click here. The 2018 regular season begins on May 12 at home against Albuquerque Sol FC. Fans can purchase 2018 season tickets right now by clicking here.